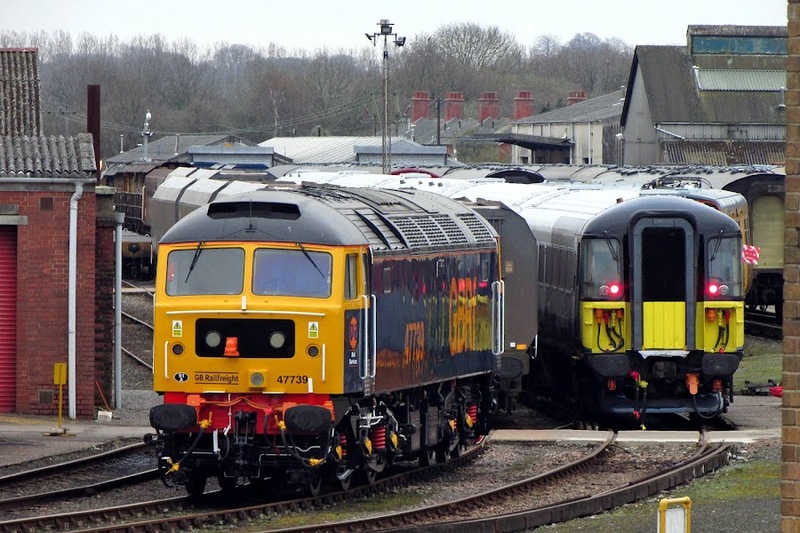 47739 was part of this week's GBRf liveries reveal, and is seen with an unidentified Class 442. 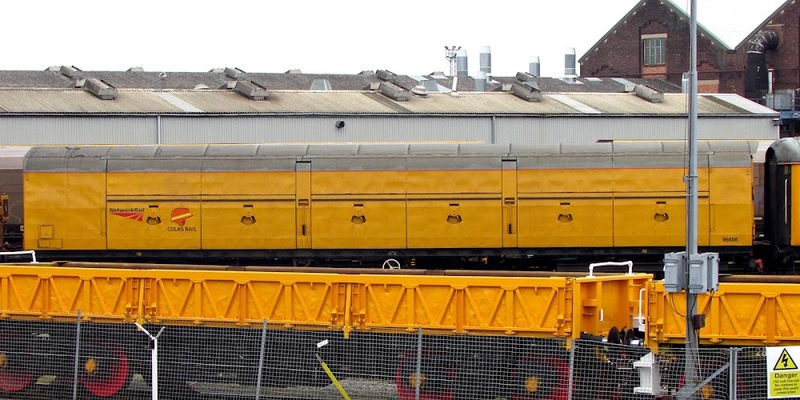 This Class 47 is currently mounted on sandbox fitted Class 57 bogies. 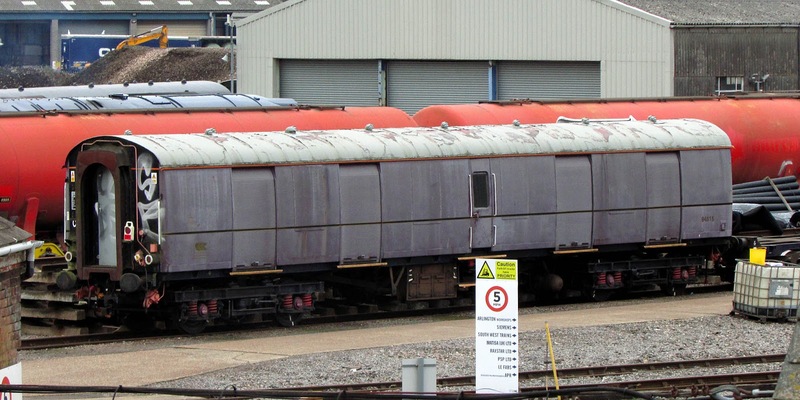 Super BG NQA (110 mph Hign Security Brake Van, fittted for use with Class 90/2) 94515 is understood to have been a resident of Eastleigh East Yard for much of the past decade, being converted to current configuration in December 1998 for usage with EWS. It, and 94538, did see some limited usage on the EWS operated boat trains, 94515 was in set EH11 from 2010, - I have not recorded which of these is in the linked picture. Built by Pressed Steel as M80916 in July 1957 to Lot 30162 as a BG Full Brake. Converted in November 1983 to 92013 (NEX 100mph dual- heat dual-brake), then 92913 in August 1992 (110 mph) and NFX 92513 in March 1993 with removal of the guard's emergency equipment, coming out of use in September 1996 before further conversion. What is next for it - parts recovery or conversion to a support coach? 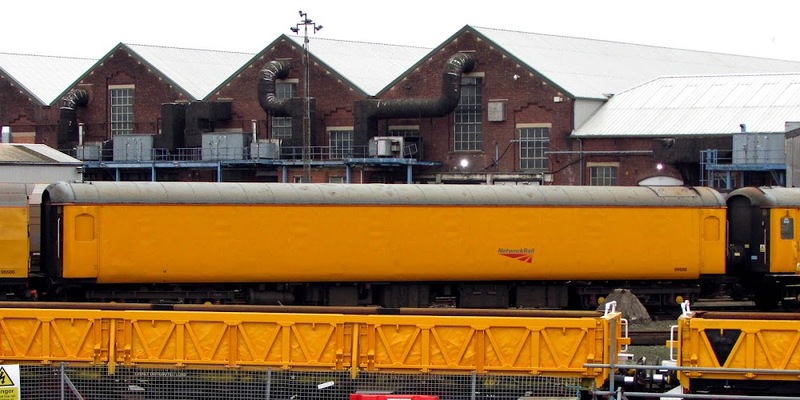 37099 was in the works yard with the structure gauging test train. Brake Force Runner 96606 (built by Marcroft in 1998-88 as a Motorail van on the frame of GUV 86324, later 96213, built by Pressed Steel to Lot 30417 in 1958-59). 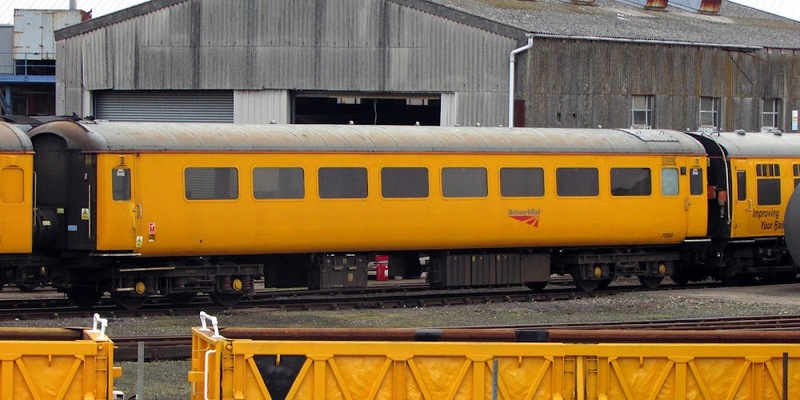 99666 is nominally a Structure Gauging coach, but it understood to be a 'runner' with no content inside, Originally Mk IIe FO W3250 built to Lot 30843 at Derby completed in December 1972. 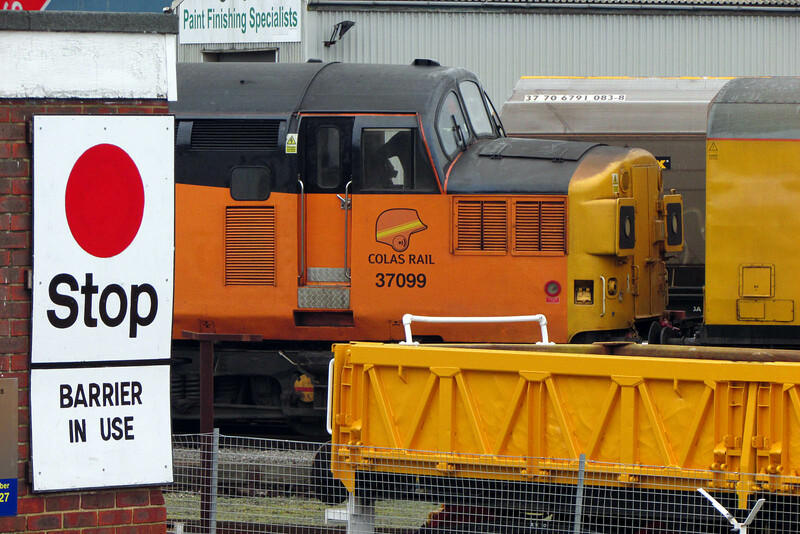 Converted to exhibition van 99666 from May 1996, then became a brake force runner for test trains from April 2008. 72630 is a Structure Gauging Train Support Coach, also to Lot 30860 from Derby, entering traffic as W6094 from February 1974, converted to TSOLH as 72630 in 1984. 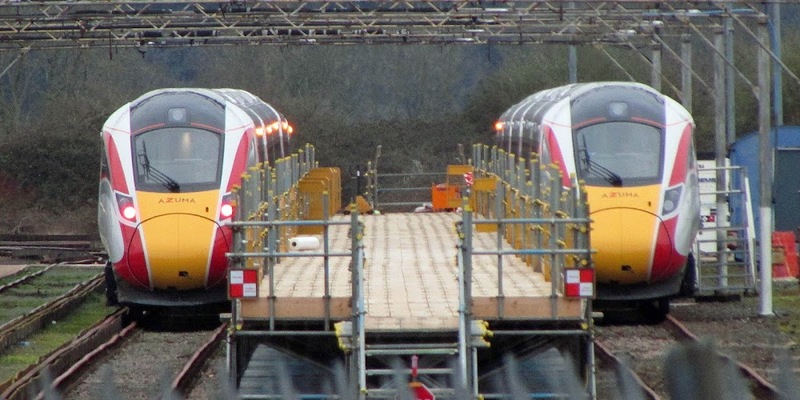 Joined the test trains fleet in Ultrasonic Test Train use from July 2002, then converted to current role from late 2013. 801104 and 801106 but order is not determined.